#Pakistan Vs #NewZealand series began Friday 15th January in New Zealand with three match T20 series followed by three ODI matches series during the tour.New Zealand beat Pakistan in the second Twenty20 at Hamilton by 10 wickets leveling the 3 match series with 1-1. The third and last T20 match will be played on Friday, 22 January 2016 in Wellington which will be followed by three ODI matches. 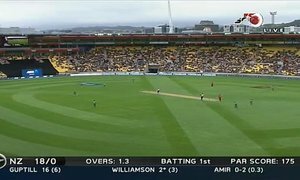 Guptill continuing from where he left in the 2nd T20! 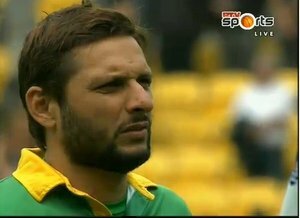 20 runs from 8 balls and Guptill storm likely to hit Pakistan again. LIVE: NZ 23-0 after 2 overs. 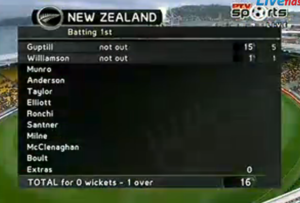 Martin Guptil and Kane Williamson are their supreme form. They started from where they left in last T20.